FALL IN LOVE WITH YOUR CITY! Erika from ESSENTIALLY ERIKA, a blog where she shares her natural remedies and homemade concoctions, recently joined our culinary tour of Delray Beach! 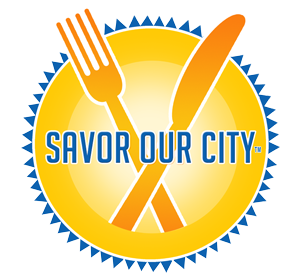 “Overall, this tour was fun, informative, and most of all.. delicious! It’s a wonderful way to rediscover your city, and a perfect introduction for newcomers or visiting guests.” Read all about her experience and the adventure we shared on her post here. Fall in Love (Again) with Italian Classics at BRAVO! at a Price You Will Love! With everything “new” for the New Year, BRAVO! Cucina Italiana is inviting guests all across the nation to re-discover and fall in love with Italian cuisine all over again with the release of some of their time-honored and classic – Italian comfort foods. Now through February 27, as part of its special Classic Italian Combinations menu, BRAVO! is featuring traditional favorites such as Baked Chicken Parmesan, Shrimp Scampi and Grilled Chicken Picatta, each served with a side vegetable and starch with a choice of soup or salad as a starter for just $10.99, available for either lunch or dinner. I was invited back to experience this two course menu which I graciously accepted and decided to bring along my friend Sharon, who just so happened to be my companion on my first visit to BRAVO! Our server Yasmine had a lovely smile and was warm and personable throughout our visit. To start us off, she brought us each a Flirtini, which we both thought was delicious. Team Leader/Manager Darryl came over to our table to introduce himself and after discussing several options, we decided to take Darryl’s suggestion to try the Crispy Shrimp Napoli appetizer. Note: the appetizer is not included in the $10.99 two course meal, but trust me, you will want to get this! Even if you’re dining alone, get it and eat half and take the rest home. You don’t want to miss out on this. It’s that good! What makes this appetizer so good, you ask? Well, the shrimp are marinated in buttermilk for one and then dipped in a rice flour batter which make them very light and airy. They are topped with a charred tomato & lemon butter sauce. #PerfectionOnAPlate #TasteBudsDoingTheHappyDance. The Chicken Parmesan was the first of the entrees to come out. It was breaded and baked and served atop herb spaghettini and housemade Pomodoro sauce. The portion was ample and the chicken was perfectly seasoned and cooked, and the sauce well balanced. The next dish to come out was the Shrimp Scampi with linguine, garlic, lemon butter, pesto breadcrumbs, garlic crostinis and diced tomato. Loved this dish, it was delish! Again, a very generous portion, I think they put like 12 shrimp in there. The garlic and lemon butter worked so harmoniously together and really elevated this timeless classic dish. The Grilled Chicken Picatta comes with seasonal vegetables (we had the sugar snap peas, carrots and broccoli), mashed potatoes and a lemon butter caper sauce. I really enjoyed this dish too. I think I must be addicted to Chef Jon’s lemon butter sauce. And speaking of Chef Jon, here I am posing with him after he made us very happy with his deliciously prepared meals. Here we have Darryl presenting to us a beautiful display of desserts. While they all looked so yummy, our bellies were pretty stuffed by this time, but despite that, we forged on and decided to give the Bravo! Cheesecake a try. It was a NY style cheesecake with a shortbread cookie crust that had been bruleed. As the afternoon progressed and we were well into dining bliss, GM Jimmy stopped by to say hi and visit with us for a bit. Me with our wonderful server Yasmine. Everyone at BRAVO! Cucina Italiana at Harbourside Place in Jupiter was once again, very friendly and attentive. The food was excellent and the value, in my opinion, cannot be beat! This Two-Course Classic Italian Combinations promotion, featuring generous portions, served at lunch & dinner seven days a week, will end on Feb. 27th, so hurry in and take advantage of this terrific value while you can! Be on the look out also for a special two course Prix Fixe menu for Valentine’s Day coming out soon. Check their website for details. Being that I spend much of my time traveling between East Boca and East Delray, with so many restaurant choices available, it takes a little coaxing if you will, to get me to venture out west. But then again, I am an adventurous foodie, always open for a foodie field trip, especially when there’s a chance that my next fantastic meal could be there just waiting for me to discover. Last week I was invited to attend a Media/Blogger dinner at Henry’s, located in the Shoppes at Addison Place on Jog Road in Delray Beach. This was my first time dining at Henry’s. Now even though it was my first, I already had pretty high expectations coming into this evening due to the fact that it is part of Rapoport’s Restaurant Group, (Bogart’s Bar & Grille, which I reviewed last month, Deck 84, Burt & Max’s, Apeiro Kitchen & Bar (Delray & now in Midtown Miami), Max’s Grille (co-owner) and coming this fall to Boca, Rappy’s Deli) led by veteran restaurateur Burt Rapoport who has worked very hard at building his brand by providing high-quality affordable cuisine, a welcoming ambiance, attentive service and as such, has received numerous accolades and has been developing loyal patrons for over 30 years. On this night, we were introduced to Henry’s new Executive Chef Warren Lee and treated to a sampling of several of the new additions created by Chef Lee for the winter seasonal menu. Chef Lee has also made revisions to some of Henry’s popular favorites. This is Chef Lee’s first full menu roll out since coming on board with Rapoport’s Restaurant Group as Executive Chef this past summer. The Tuna Napolean came next. I loved this dish too. Diced tuna, cucumber, avocado, scallions, ponzu sauce and crispy wontons. I thought the dish was not only visually appealing, but it was light and well balanced. The Poached Pear and Crispy Goat Cheese was another home run appetizer! The mixed greens topped with candied almonds and dried cranberries with the honey citrus dressing was lovely, as were the poached pears and the crispy goat cheese. This appetizer was thoughtfully constructed and the result was a perfectly balanced plate with ingredients that really complimented one other very nicely. Now it was time to move on to the entrées. We were each presented a plate with a sampler of three new entrées- Caramelized Onion Crusted Snapper, Smoked Short Rib and Chicken Saltimbocca. Now, given the choice of these three proteins, I would ordinarily go straight for the short rib and expect that would be the highlight for me. But what surprised me was, although the short rib was definitely delicious, the caramelized onion crusted snapper was the star of the night. It was simply, AMAZING!!! I’m not even a snapper fan…um…well I wasn’t, until this dish single-handedly turned me into one. Lol. In case you have never witnessed a Media/Blogger Dinner before, it’s not unusual to see bloggers fidgeting with their plates to capture the perfect picture. What is spectacular here is this ginormous Six-Layer Carrot Walnut Cake that these foodies are capturing. Kudos to the Chef and his staff for executing such a lovely tasting for us this evening. Thank you to Henry’s GM Darin Chesley and Shaina Wizov for hosting us. I have already made plans with some friends to return there with them. Lobster & Shrimp Flatbread here we come! Henry’s was named after Burt’s dog Henry and this picture I included here in this post can be found hanging on the wall of the restaurant immediately to the right of the entrance as you walk in. Henry’s can seat 140 guests inside and 50 additional guests outside. Happy Hour is available anywhere in the restaurant Monday – Saturday from 12-12:30pm and Monday – Sunday 4:30 – 6pm (at the bar), 5- 6pm (in the Dining Room). Half priced drinks and a bar bites menu is offered. 10 for $10 Lunches – You can enjoy 10 lunch entree options priced at $10 each, including a beverage Monday through Friday from 11:30am – 2:30pm, Saturday 12pm – 2:30pm. Kids Eat Free ALL Day – Sunday – Thursday, with the purchase of an adult entree. $20 3-Course Prix Fixe – Available daily between 5 – 5:15pm. Choose from Henry’s favorite starters, popular entrees and Chef’s choice dessert.